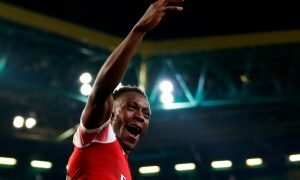 Arsenal make enquiry towards exceptional La Liga forward | The Transfer Tavern | News, breakdown and analysis on all things football! Arsenal fans in the Transfer Tavern have assembled in their masses to discuss a wide-range of things about their club, with tomorrow’s Champions League decider against Olympiakos taking centre stage. However, with the fans munching through our menu as they eat to relieve their nerves, the conversation has taken a swing towards transfer rumours- and one player in particular. The Daily Mirror states that Arsenal have made an enquiry towards Celta Vigo attacker Nolito, who is rated at around £15m. Arsenal were worried that Barcelona, who are also interested in the Spanish international, would beat them in the race for the 29-year-old’s signature but financial difficulties mean the Catalan giants can’t afford to make a move. That seemingly leaves the door wide open for Arsenal, who have an additional boost with the news that contract negotiations between Nolito and Celta have stalled. 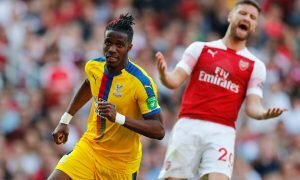 Arsenal could take advantage of this situation to capture the excellent star from La Liga’s surprise package this term, which many at the bar believe would provide a crucial bonus to their chances of winning the Premier League. Gooners, is Nolito a signing you need? Let us know in the comments below!